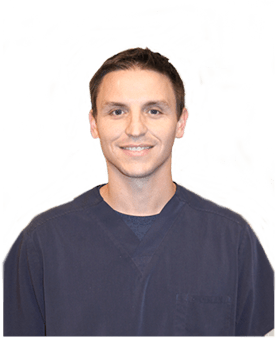 Originally from western Nebraska, Dr. Eric Fuehrer graduated from University of Nebraska College of Dentistry in 2009. Prior to dental school, he attended Doane College where he majored in Biology while playing baseball. For the first nine years of his career, he practiced in the state of Kansas. His wife Amy, who is also a Nebraska native, their young kids Ellie and Max are excited to call the Elkhorn area home. She will make you feel comfortable, and make your appointment efficient and pleasant. Patients appreciate her careful techniques taking x-rays, impressions of their teeth, and preparing the room specifically for their needs.provide therapy for gum disease. She works with Dr. Fuehrer to check and clean your teeth and gums, as well as provide therapy for gum disease. By getting to know you and listening to your concerns, they will provide you with knowledge and tips to keep your smile healthy in between your appointments. Michelle will greet you with a smile when you arrive. She will answer any questions you may have about your appointments and can help you understand your dental insurance benefits. Patients appreciate the personal attention she gives to help them with their administrative needs! My family is new to the area and this office came highly recommended. Dr. Fuehrer and his friendly staff took great care of my two young kids! Dr. Fuehrer and his staff at Elk Ridge Dental are amazing. I can't imagine going anywhere else in town. I never have trouble getting appointments and everyone is friendly there. I highly recommend Elk Ridge Dental. I've been to a few different dental offices since moving to the Omaha area. Maybe we have to go through that to find the right one! The staff at Elk Ridge Dental were very welcoming and Michelle was very helpful with explaining the insurance and payment expectations. I would definitely recommend this dental office if you're in the market or close to the area. I always have good experience at Dr. Nielsen's. He is very patient and caring. Dr. Nielsen and his staffs make sure my teeth are taken care of and are willing to work with me for my needs. Highly recommended!!! A few years ago I had a dental problem and my dentist was out of town. Dr Nielsen had gone to college with my sons so I decided to see if he was available. I have been with Dr Nielsen since that time and have been extremely pleased with his professionalism and his excellent staff. I have also recommended his office to several friends.